We stayed one night after visiting Mystras. It is in a little town with several tavernas. It is a whole house with a full kitchen. We appreciated the aircon in the bedroom. Perfect for families that want to spread out and be able to walk to dinner after a long day hiking in Mystras. The owners are wonderful and accommodating. Thank you for a wonderful stay! The house was very spacious, warm and comfortable and had everything we needed. The hosts were very friendly and had left delicious home made treats for us. We loved our stay there, the house was really well located for travelling around the region. We had a really enjoyable stay and wouldn’t hesitate to recommend this property to others. A fantastic villa, offering everything you need to feel homey and comfortable during your stay. First holiday with a two month old baby we needed something more than a hotel room. Villa iris was like being at home. The rooms were bright spacious and spotless. The living room was huge, there was a fireplace, a bar and a fully equipped kitchen. The way the villa is split in two levels allows for adults to chat, watch TV or play games while youngsters sleep upstairs. The owner was very friendly and accommodating. We will definitely come again. All the small attentions for a very confortable stay. We felt home ! A clean spacious house. A nice welcome pack of eggs, honey, juice, wine etc available. Location to Mystras is excellent. There is three restaurants in the square where the accomadation is located. They all serve lovely food, plus very friendly staff. Warm welcome, homemade orange cake and a bottle of wine - lovely extra touches! Property was great, providing everything you could need and had a good taverna next door! 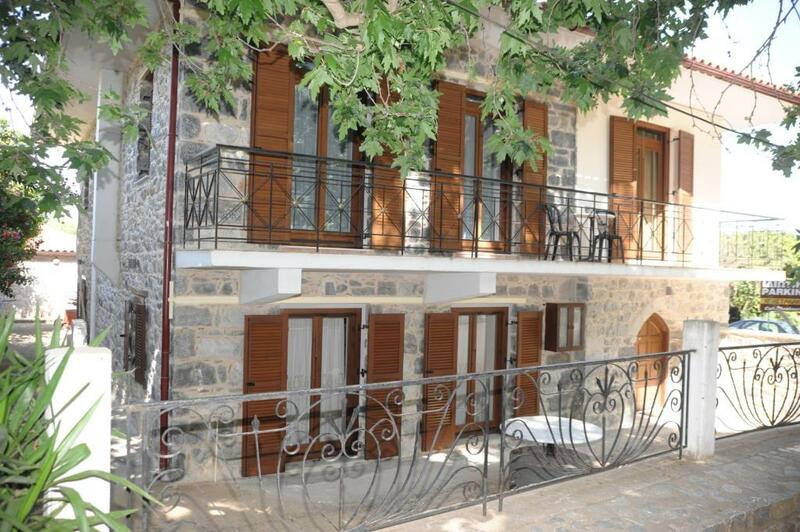 Its wonderful location (very convenient for visiting ancient Mystras and between two excellent restaurants!). It also was very comfortable within, would be a great place to stay with a small group. All was perfect, and the cake at the entry was great. We didn't had problem to find it, and the restaurants nearby arevery good. 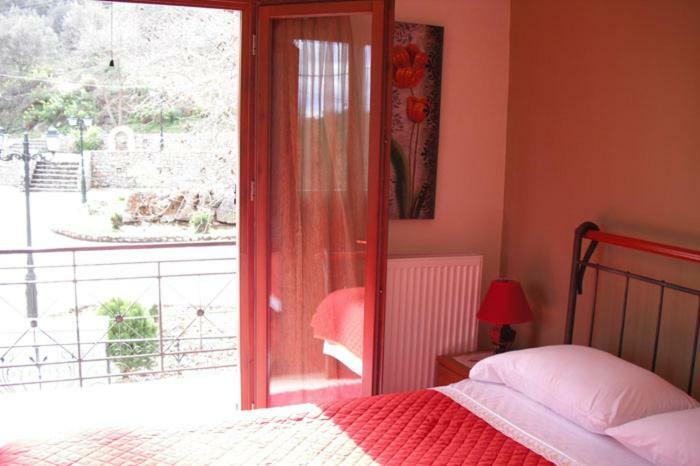 Lock in a great price for GuestHouse Iris – rated 9.5 by recent guests! Located in the village of Kefalari Agiou Ioanni, Villa Iris is a stone-built residence offering traditional accommodations with a fully fitted kitchen. It overlooks the village’s charming square with its plane trees, natural springs and taverns. Iris villa is split in 2 levels and opens out to furnished balconies with views of the village square, Taygetos Mountain or the garden. Arched walls separate the dining area from the spacious living room featuring a fireplace, a TV and a DVD player. Other facilities include air conditioning, iron and hairdryer. 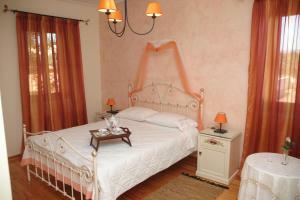 Guest house Iris offers self-catering accommodations. Breakfast items are provided for guests to prepare their own breakfast. Within 1.9 mi, guests can visit the scenic village of Mystras, while the town of Sparti is at 2.5 mi. Ancient Sparti can be reached at 3.1 mi. Free private parking is available on site. When would you like to stay at GuestHouse Iris? 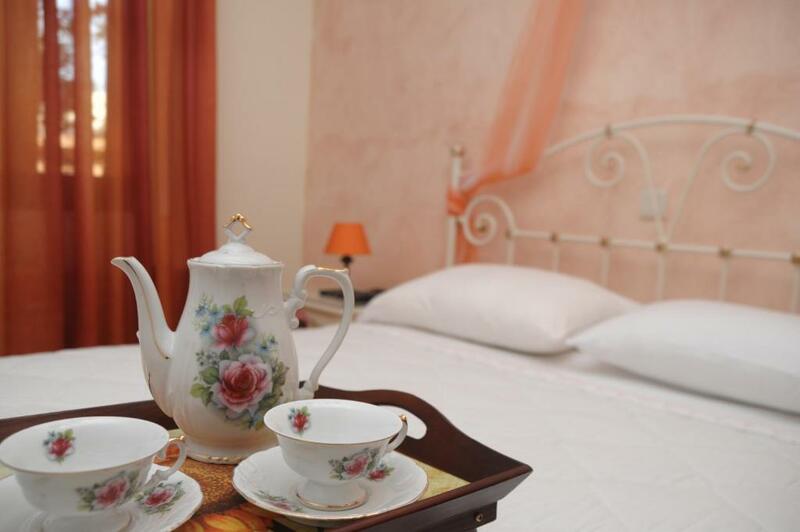 Our guesthouse is ideal for guests who appreciate privacy and spacious accommodation. We provide you with basic breakfast items and with the information you need when you are handed the key. Someone will be always available to meet your needs after your request. 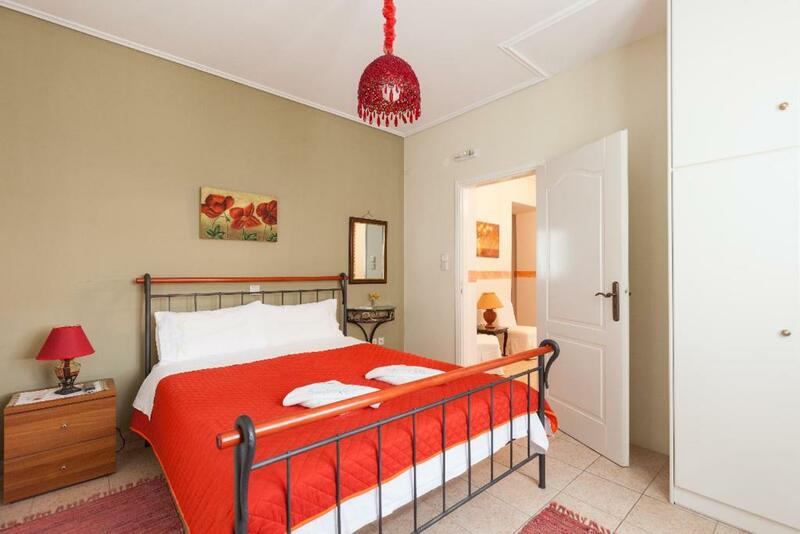 Booking our guesthouse means that you have exclusive access to the whole house, however you may only use as many bedrooms as are justified by the number of guests, e.g. two guests may use one double bedroom. The byzantine castle town in Mystras is exceptional, but there is so much more in the neighbourhood. I recommend the nearby path of Panagia Lagadiotissa, which is easy to follow and gives you a taste of Taygetos. Also, the famous cave of Kaiadas on the gorges of mt Taygetos at the nearby village of Trypi. House Rules GuestHouse Iris takes special requests – add in the next step! Please note that Villa Iris has no reception. Please contact the property 1 day in advance for further details. Please inform GuestHouse Iris of your expected arrival time in advance. You can use the Special Requests box when booking, or contact the property directly using the contact details in your confirmation. Just a minor comment. Wifi signal was great on the ground floor; but a little bit trickier on the top floor. Everything was perfect. We only stayed for a night, but we wished we could stay more. Mrs Maria, the hostess was amazing. Her homemade cake was delicious. 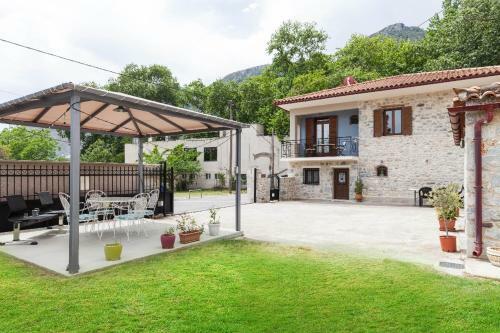 Great location in a small quiet village outside Sparta. 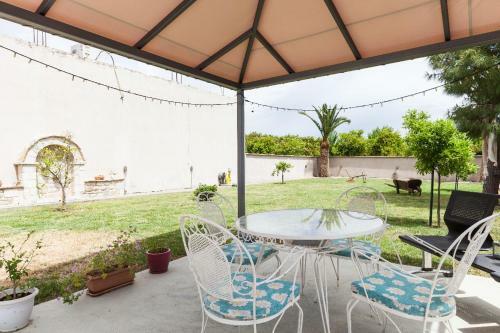 Overall, an excellent option for the greater area surrounding Sparta.